Our services are especially geared to higher-ed. Unlike a multitude of membership-based e-commerce sites, your alumni share a common bond and affinity at some deep level to your institution. How you engage and trigger those feelings through well-planned marketing efforts takes time and perseverance. Many of the unique attributes of your constituents will always be unknown, but they all share some debt of gratitude for their education. At BCI, we understand these dynamics. That’s why we’ve selectively partnered with leading email address source providers that hold large concentrations of graduates and undergrads preferred email addresses. BCI Email Append enables your alumni association to develop a broader base through email marketing campaigns and various fundraising activities. Whether you’re about to test a new solicitation, campaign announcement, or simply an option to how they prefer to receive University correspondence (i.e. newsletters, magazines, etc. ), we have the data and expertise to help you get there. Multiple opt-in, permission based databases containing over 600 million unique email addresses. Quality data: All matches flow through a series of hygiene programs to correct typos, syntax errors, invalid domains, etc. Guards against Spam, Blacklisting, Complainers, Malicious and toxic email addresses. Deliverability assurance: Verify or update undeliverable emails. Ping test during hygiene too. Service excellence: BCI experience and guidance every step of the way. Price: Volume driven for an unbeatable value. All records transmitted to BCI are received through a secured network server, and password protected. Once the file is received, validated, and confirmed with our client, we begin the append process by matching full name and address of your constituents through multiple databases to harvest the highest match rate possible. Strict matching algorithms that tie individuals’ full name and mailing address are utilized to ensure the best email address is found. BCI filters out all toxic and potentially harmful email addresses at this time, then replaces them with alternate emails that are found during the append process. Next, all new email addresses found are processed through several email hygiene programs to eliminate invalid emails and verify or correct ones that are potentially undeliverable. 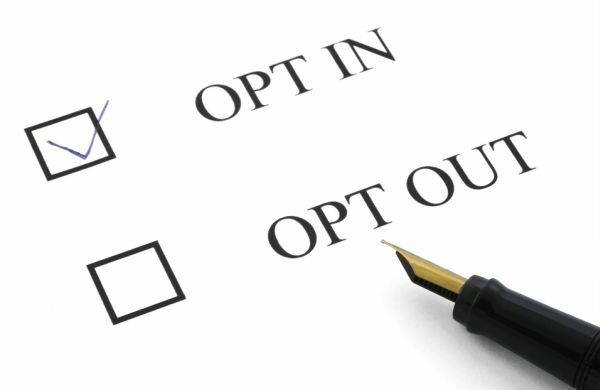 The “good” emails are then downloaded into a file, and synchronized with a customized, opt-out permission letter, which we will help you create. This letter should include a separate header (JPG, TIF etc.) that mirrors your association’s logo and color theme so it will be instantly recognizable to your constituents. The Subject and From a line of the message will display the name of your institution to improve authenticity. We then set up an internal test broadcast that’s delivered to you and a small “seed list” of individuals from your team to make sure the final version of your letter is launched exactly as you expect. Any changes to the message are completed at this time. Once you have approved the test, we blast the message to everyone we’ve found an email address for. BCI will monitor the results to verify deliverability while tracking bounces and opt-outs. You will receive a report of this shortly after the job is completed. Free match rate report is available BEFORE you begin your project. No obligation to purchase. BCI maintains partnerships with several of the largest source providers of permission-based email address data in the industry. These sources are compiled from over 60 e-commerce sites and other multi-media channels with high concentrations in higher-ed — collectively over 600 million verified, deliverable email addresses. BCI provides access to perhaps the most robust universe of permission-based, opt-in email address data anywhere to be found. Of course all email addresses are not alike, and most alums probably have more than one. So which is best at giving your association the greatest opportunity to establish a meaningful, online relationship? It’s common to hear claims from industry professionals that some email addresses are worth upwards of 3 times the value of others – a point that’s hard to contend, particularly on email addresses your constituents respond to. At BCI, a large percentage of the email addresses appended come from the most active ISP’s — not just Gmail, Outlook or Yahoo. This means your first permission pass message is far more likely to be opened, giving you a better chance of establishing long term relations. The confluence of email to social media is undeniable. And for this reason, we understand the added value that email addresses used for social interaction can bring to your online community. In addition to BCI’s standard email hygiene practices, we can also verify whether the email addresses on your system, or emails we append, are being used on any of the most popular social media sites — Facebook, Instagram, Linkedin, Twitter etc. Our data sources are updated weekly to add new email addresses, remove old expired ones, spam, honeypots, frequent complainers, disposables, role accounts, malicious emails, hard bounces, and opt-outs, etc. This filtering process assures you’ll receive only accurate, reliable email addresses that can be put to use immediately. In addition, BCI has access to the origination point of the new email address found, and the date that opt-in privilege was granted to third parties. So, if you are ever asked by an alum where you got their address and how permission was granted to use it, BCI will send you detailed information right away. So you’ve crafted the perfect email to get your constituents engaged. Your email list is clean and recently updated. Your alumni association and development team expect it will be a big hit, but unless you’ve scheduled it for delivery at the opportune time, you might be in for a big let- down. Then again, the longer it remains un-opened, the less chance it will ever be read. According to GetResponse, most recipients open and read new email within the first 60 minutes and if the email goes unopened for 24 hours, the chances of it being read comes close to zero The point is that you need to trigger your email at the right time of day to drive your message home. Good tactics deliver results !